Touch, taste, smell, feel. From walking into the studio, being pampered with hair and makeup, having a drink or eating chocolates, and getting into your lingerie – everything about the boudoir experience is tactile. Lingerie is made to entice: by sight, by touch, by feel. The color, the fit, the lace, the satin. Every piece of it is a sensual and tactile experience. Throughout a boudoir photo shoot, you’re having fun, laughing and letting all of the nervousness fade away as excitement takes its place. You’re admiring, enjoying and loving on your own body. Feeling your hair and skin, playing with your lingerie or gripping fresh clean sheets and thick fur rugs. Relaxing and falling into the moment while creating beautiful photographs that you should be able to hold and touch and admire. The end result, the remembrance of your experience needs to be as tactile as the boudoir experience itself. I offer albums with luxurious linen and acrylic and thick gorgeous pages to flip through, fun viewfinders to play with and laugh about, glossy metal wall art to hang on your walls and admire every time you walk past. The more time you spend touching something the more you fall in love with it. Don’t be afraid to fall in love with yourself and your sense of touch. Email me today to learn more about a life-changing boudoir experience. Hi there! My name is Michelle. I'm the creator/photographer behind Michelle Burroughs Photography. I promote body positivity and empower women to rediscover their feelings of self-love. It's so nice to have you here! Hi there! I'm Michelle. 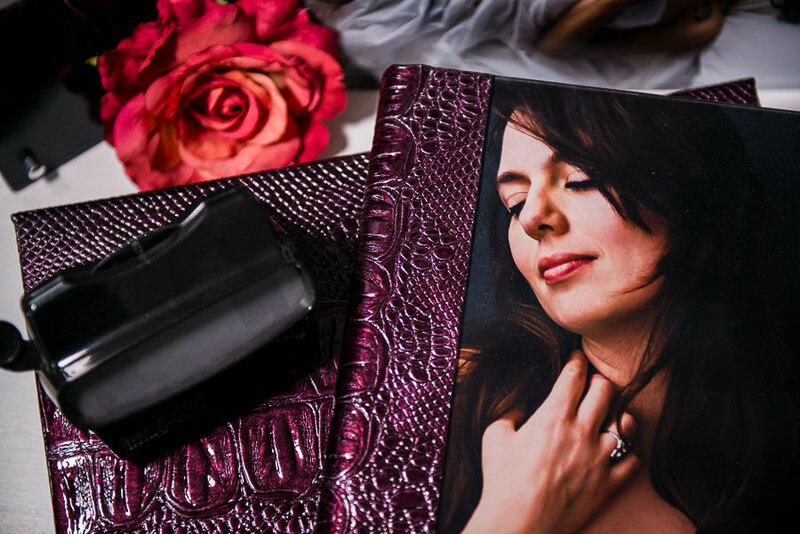 Why do I shoot boudoir photography? Because I want women to feel empowered and in control of their own destiny, their own body, their own sexuality. Women are often told how to look and what to feel. I want women to feel confident in doing what they want, looking how they want, and feeling whatever they want. Holly – I want to own it. To embrace all of who I am as a woman. Want to be the first to hear the news? Sign up for the latest news, monthly ladies' events, & exclusive offers! @2018 Michelle Burroughs. All Right Reserved.